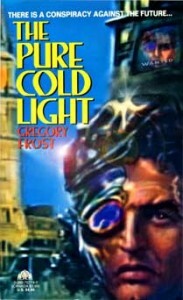 My 1993 sf novel, The Pure Cold Light, is the special this week at Book View Cafe, where you’ll find the ebook available for just $.99. In a future Philadelphia, the drug of choice on the streets will take you to another world…literally. There is nothing weirder than getting a great review of a book that went out of print in 1994. (Okay, actually, it’s back these days in ebook format from Book View Cafe).